One of the best things about Summer is the freedom to enjoy ice cream with absolutely no need for a reason or excuse! As much as I love to explore the different trendy ice-cream shops that have popped up all over Toronto, I am not a huge fan of lining up for hours just to get my hands on one! 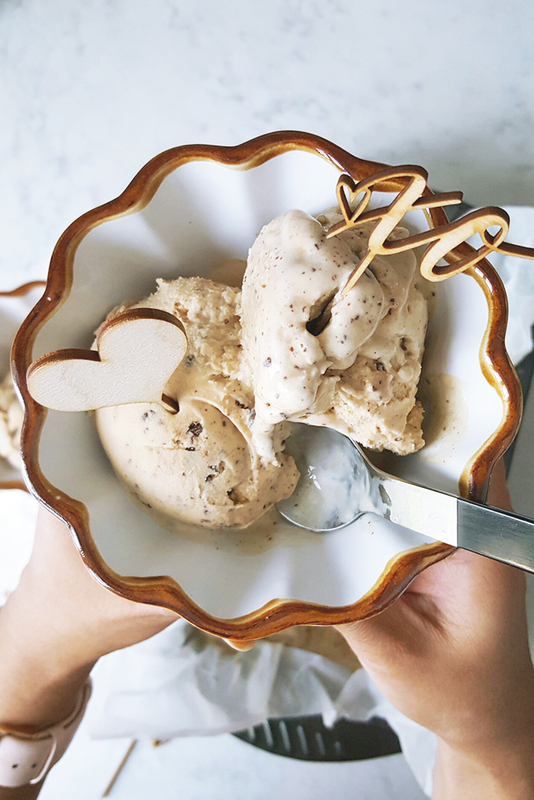 Therefore, we love ending a Summer evening with a bowl of ice-cream at home. Not sure if any of you have the same problem in your household, but each time we buy a carton, we tend to get bored of the flavour mid way through each tub ends up being half full and then eventually thrown out when they’re finally covered with freezer burn. I recently (brilliantly) figured out a simple ice cream hack to make any ice cream flavour at home without an ice cream maker or fancy ingredients! 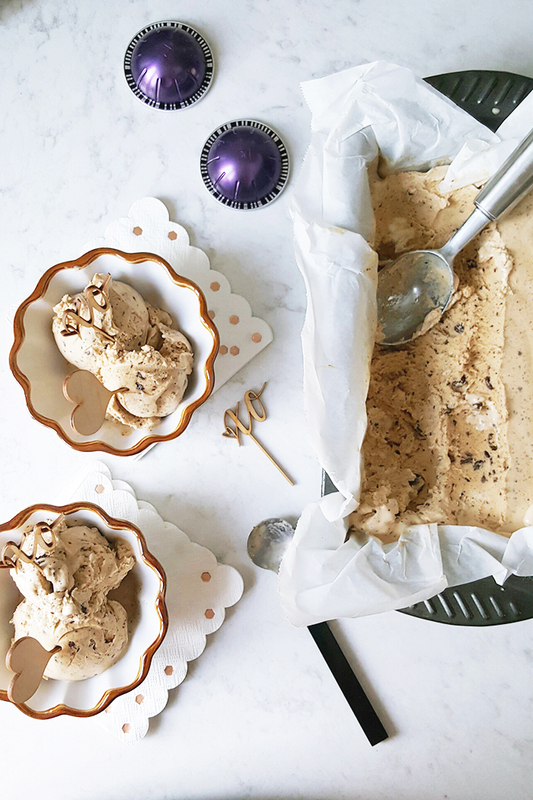 Inspired by my love for NESPRESSO coffee, I decided to create this simple “homemade” chocolate chip coffee ice cream from a tub of store-bought vanilla ice cream! Take the ice cream 10 minutes ahead of time and enjoy! 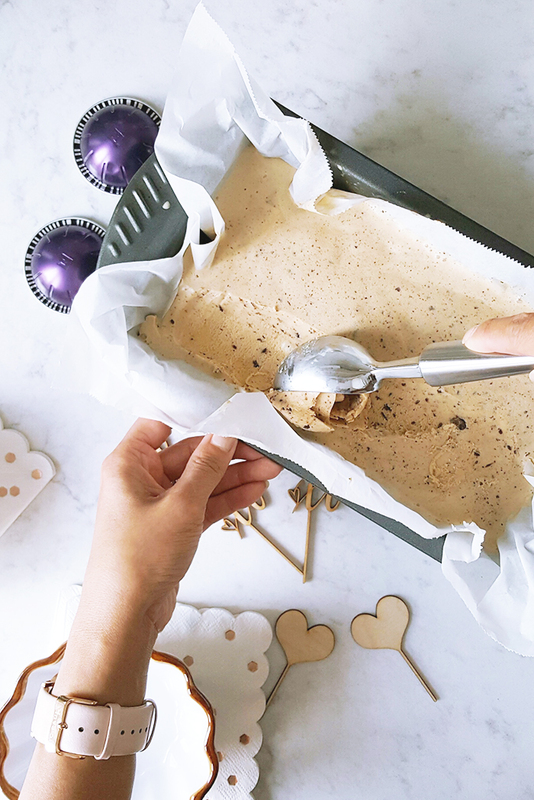 Isn’t this the simplest ice cream hack? 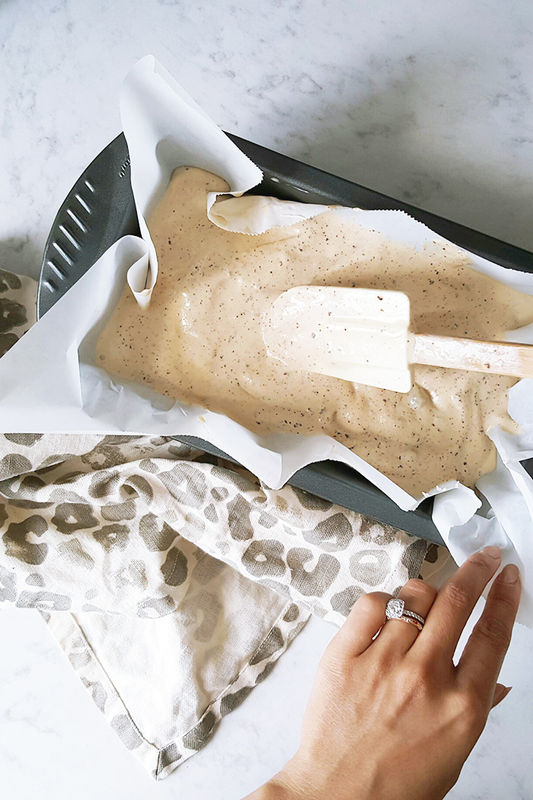 I chose to use the entire carton for my coffee ice cream but you can easily only use a fraction of your carton and make different flavours for the week! I think I’ll experiment with some interesting ingredients such as my fresh herbs or unexpected spices. 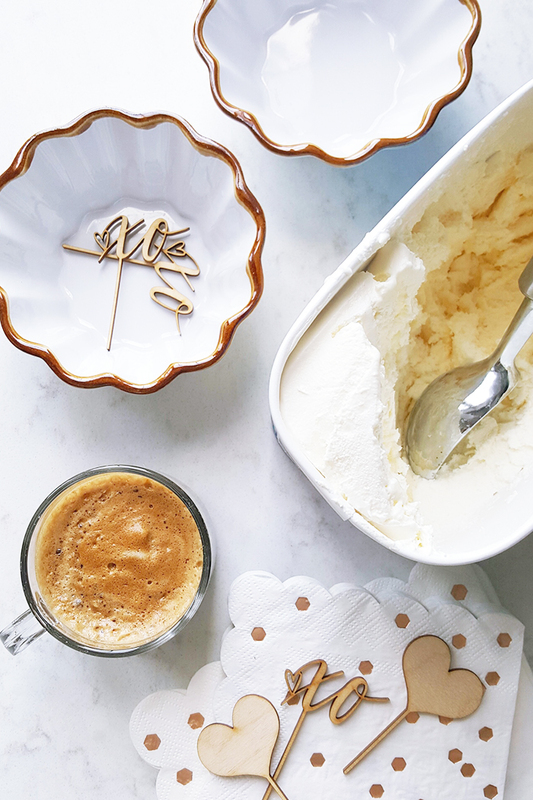 If you’re interested in another coffee dessert idea, be sure to check out my affogato recipe! Shop some cute ice cream bowls I found just for you!